Windows 10 is an Amazing Operating System developed by Microsoft. Since Windows 10 came into the market, it becomes trend due to its flexibility and amazing features. Windows features can be configured using command prompt. Sometimes you need admin privileges to run some features on windows 10 and then you needed to open command prompt as admin. 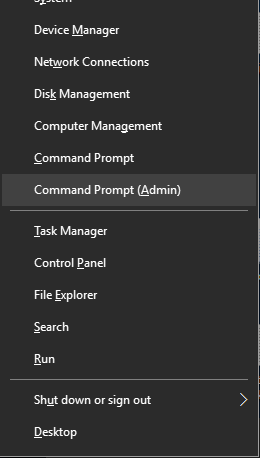 However many people still have a query regarding how to open command prompt as admin in windows 10. So we will show you how you can open Command prompt as admin in different ways. In this method, you just have to press [Windows+X],Windows key and the X alphabet key together. And there you will see a popup menu in the lower-left corner of the windows screen. On that menu Click on the Command Prompt(Admin) option. That click will open a dialog box of User Account Control asking for permission. 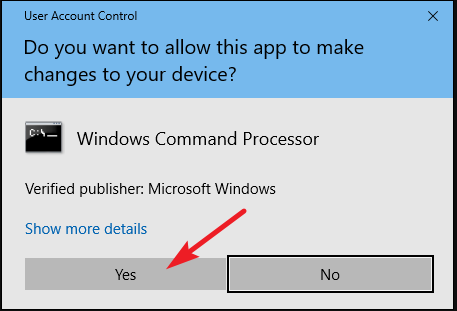 On that permission window, all you have to do is select “yes” and you are now on command prompt admin. In windows 10 you will find a search box in the lower left corner of your windows screen along with windows icon on left of that search box. This search box is pretty useful to find anything on your computer such as files (video, audio, config etc. ), also this search box works amazingly to find its inbuilt/preinstalled and external application. You can use this search box to find command prompt as well. 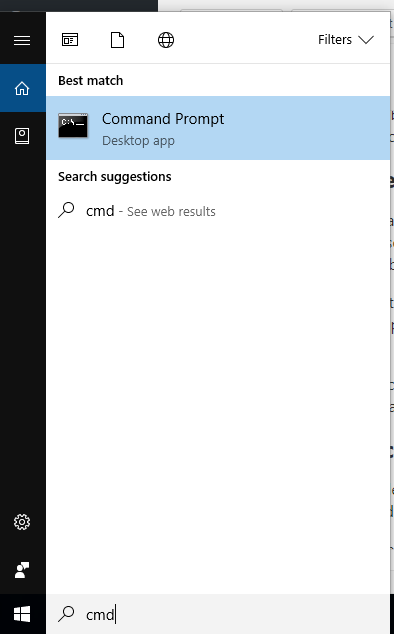 Just simply click on the search box and type cmd, and you will see command prompt Desktop app option there. After typing cmd to search box, press Ctrl+Shift+Enter key simultaneously. It will show you User User Account Control dialog box that asks for permission. Press the yes button and you will see a Glazed command prompt administrator windows. There are many issues people trying to solve and search on windows 10 and one of the issues are when your lower taskbar gets paralyzed and doesn’t work at all, including windows icon and notification tray as well. On that time you must be needed command prompt as admin privilege to run some scan through command prompt admin. Making the shortcut of cmd will give you the choice to run command prompt as administrator in windows 10 from two ways. Follow below steps to make Windows 10 cmd admin shortcut. Open C drive or wherever your windows 10 OS is installed. We are assuming C drive as default that used in 95% situation. After opening your C drive Go to System 32 and search for cmd.exe by putting this cmd.exe query on file explorer’s search bar in the top right. Now you will see cmd application there in a black icon. Right click that and select create shortcut option from the popup window. Create shortcut button ask you for placing the shortcut to desktop, so you can choose yes. If it doesn’t ask then simply copy the cmd icon from there and just paste it on your windows home screen. Right click that shortcut cmd icon and choose Run as administrator from the popup window. Now you know how you can easily open the command prompt as admin. It was not that tough task if you are still having any difficulty then ask us in the comment below.